The phrase “home away from home” is often misused; however, in this case, the phrase is nowhere near enough to describe the warmth and deliciousness of being a guest in Parker Cottage B & B. 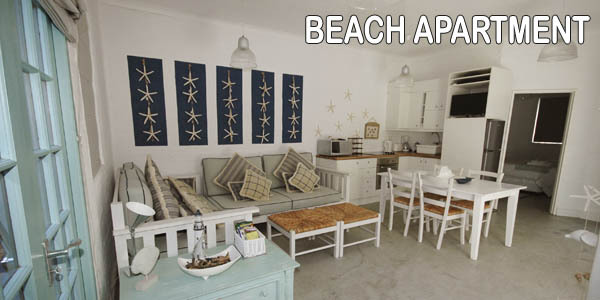 This is truly the most perfect blend of friendly homeliness and luxury holiday accommodation. It all starts with the staff. The warmth and connection each staff member has with their team, including the owners of the B & B, Phil and Liz, is reflected in the warmth and connection they have with the guests. 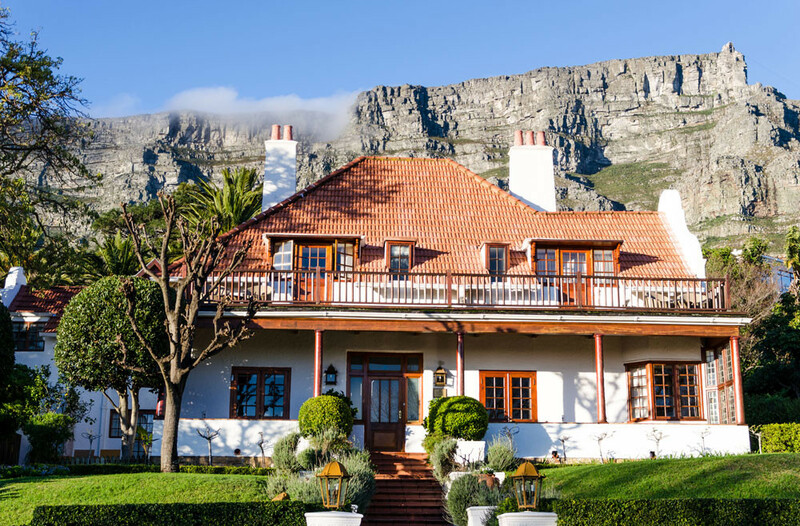 Compassion and respect are clear foundations in this beautiful, luxurious and unique B & B in Cape Town. I have to mention the breakfast. A star feature of this exquisite place! Breakfast is my favourite meal; and one of my great frustrations when travelling is the fact that in many hotels and B & Bs, if you blink, you miss it! You have to be up by a certain time in order to catch breakfast ñ and even then, it is often a tired buffet you need to wolf down before they start clearing you away. That is, unless you are willing to take a second mortgage on your home in order to afford an outrageously expensive hotel. This is certainly not the case at Parker Cottage B & B. Breakfast is served whenever you want it! This means I don’t have to interrupt my beauty sleep to catch the last few minutes of my favourite meal. I can sleep until I wake naturally ñ whatever time that may be ñ and then take my time over a sumptuous breakfast that is served to me at my table. Thatís right, no having to pick out the least tired items from an exhausted buffet; the breakfast is prepared to order, and served to the table. What a pleasure! In addition to this, there is a special breakfast dish each day that makes the meal even more interesting and delicious. With five courses, and no time limit and every step of the process prepared for you, it is truly the ultimate breakfast experience. As if that wasn’t enough, the surroundings are gorgeous. In winter, breakfast is served in front of the fire in the dining room; and in summer it is served on the porch or in the garden. How perfect is that! Sticking to the wonderful mix of luxury and personal warmth and connection, the hosts of Parker Cottage invite their guests to join them at least twice a week for a wine evening. In summer, this takes place on the porch or next to the fountain in the garden; in winter, they gather in the lounge or drawing room in front of a log fire. There are hardly words to describe the exquisiteness of the rooms. While they offer a great range of price options from luxury to ìeconomyî even the economy rooms are breathtakingly beautifully decorated and equipped. Each room is decorated uniquely and with incredibly beautiful taste. Overall, Parker Cottage Bed and Breakfast is the ultimate combination of luxury and personal warmth. An unique experience in itself, itís like going to stay with wealthy, hospitable, loveable family! When you want a vacation that is calming, soothing and relaxing, you need to look into a bed and breakfast. Bed and breakfasts will provide you with an awesome experience that you simply will not find anywhere else. No matter what sort of trip you are planning, be it a solo retreat or a romantic getaway, you owe it to yourself to make sure that you get the absolute most out of it. In that case, perhaps the best Bed and Breakfast you can pay a visit to is the Welgemoed. 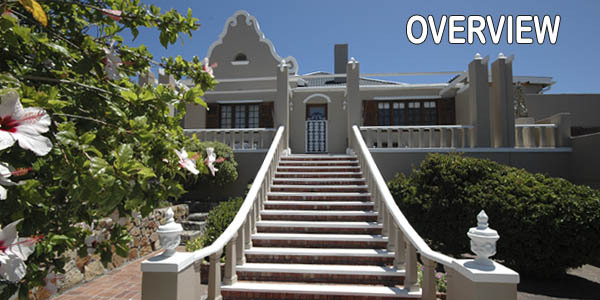 This bed and breakfast is located in the Cape Town area and is one of the highest quality experiences you will find. When you book a trip at this bed and breakfast, you will be able to choose between one of two different guesthouses. From there, you will be waited on hand and foot by our excellent staff. Our staff makes it their business to give you the best experience possible, regardless of what kind of trip were looking into. The location itself is prime, because you are tucked away enough to enjoy your seclusion and relaxation, but close enough to make a short trip to and from the airport or shop at local malls or other areas. 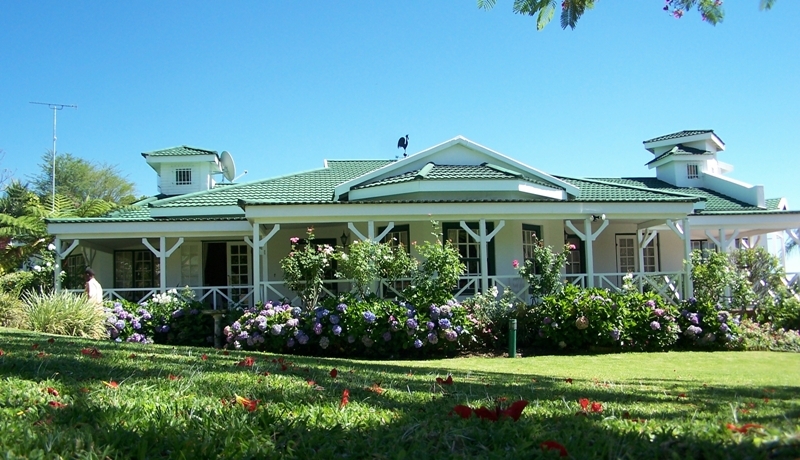 Our bed-and-breakfast is also located very close to vineyards and beaches. Our property is well-maintained and luxurious, and people who have visited us have gone on to leave glowing reviews about how well they were taken care of. Each bedroom features wireless Internet, copy machines, mini fridge and more. 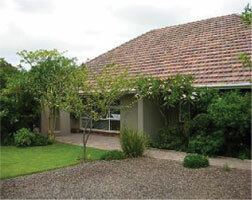 You also have access to a garden area which is relaxing and elegant. There is also a nice patio that you will be able to spend time on to enjoy yourself. You will be able to get any kind of dinner that you would like as long as you put in a request ahead of time. You can also take advantage of a large jetted tub which will provide you with quality rest and relaxation from your everyday life. This bed and breakfast is open to couples and families alike, so whether you want to travel for a romantic getaway or a family trip, you will be able to do that when you book a retreat at our bed and breakfast. Take advantage of this information and use it so that you are able to book a trip with us today. We would be happy to hear from you. You need to get a break from the everyday, and there is no better place to do this in Cape Town, South Africa, Look forward to a reenergizing, but relaxing stay near the ocean and beaches. If you arrive there from out of the country, you can take a 40-minute ride from the airport and get to one of the best bed and breakfasts in the area. The Fish Hoek is ready to greet you with a wonderful dose of hospitality and exceptional accommodations. All rooms and suites are nicely appointed. 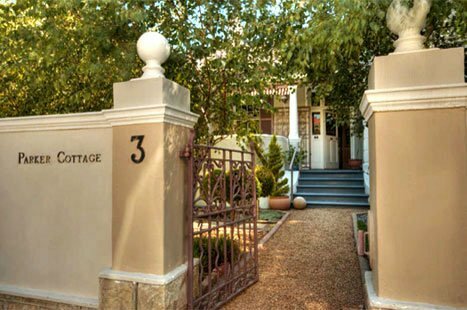 There is plenty of room for an entire family to stay at this B & B or if a couple wants to break away and enjoy Cape Town, this is the most charming place to stay. There is so much you can do while you stay there. You can get out and explore Chapman Peak Drive, the Constantia Winelands or just stay put in the coastal sun and fun that makes up the town of Fish Hoek. Enjoy staying at the French suite where double showers await you upon waking each morning. 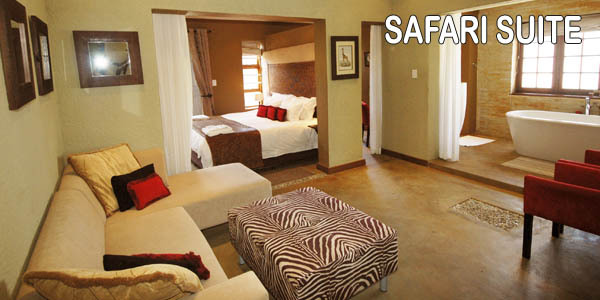 Or, choose the African suite for a more traditionally decorated room. You get a bath with double sink basins and a private deck and patio. Pick the Garden suite for a more old-fashioned elegance where you can relax your stress away by soaking in a free-standing Victorian style bath tub. One thing to be aware of is that you will need to ask your host and hostess to have towels changed out on a daily basis if that is your preference. By asking guests to indicate this preference, the owners are working to conserve resources and this is something most people appreciate. Plan your day around a quick stroll to the beach or head out for an excursion by walking to the nearby train station. You can easily do everything you like in Cape Town from the proximity of the Fish Hoek. Anything you need can be supplied by the host and hostess whom all guests appreciate. They go to great lengths to be sure every person feels warmly welcomed and has the most pleasant stay in enchanting Cape Town. The Fish Hoek offers special promotions from time to time. To get the most up-to-date promotions and special deals, visit the website directly. You can pay using Visa or MasterCard so planning a quick getaway is simple and hassle-free. Every year I come to Cape Town once or twice for business. I have one branch of my car shop store here which is managed by my Brother. Since my brothers house is full with his new family I need to find my own place to stay as well each time. I always ask my brother for some advice on which hotels or guest houses are the best and try to visit a new one each time. 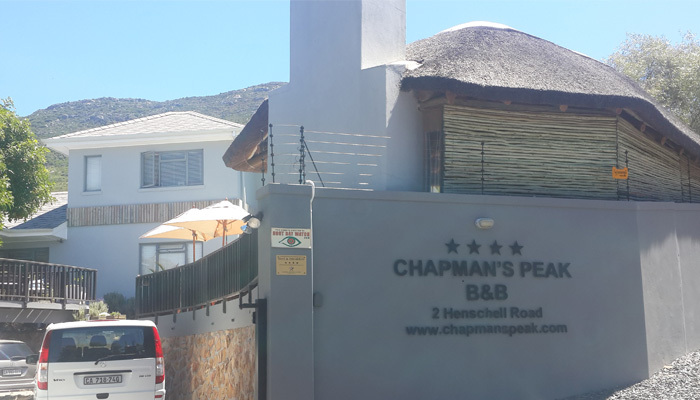 This time he recommended the Chapman’s Peak BnB. So with no further ado, I booked and went straight to checked in after I landed. I stayed in one of their studio deluxe suites and when I arrived in the room, I immediately felt at home and relaxed. The room was not huge, but a comfortable size for one or two people. If you are a family coming to visit I would probably opt for on of their bigger options. Perhaps ask the staff which option would be best for you. They have a kitchen area as well as entertainment area and a cozy terrace (which I enjoy for some sun bathing while I was under the warm African sun, there were lots of kids playing there as well ). The BnB’s staff were very welcoming and hospitable and definitely added to my stay there. they will do anything you ask with out question. There turn down service was superb and my room was always clean, neat and tidy when I returned from my business. Everything that was promised on the website was delivered, and I definitely felt I had as much privacy as I desired. I could also definitely recommend it to anyone looking for a romantic getaway for the weekend. 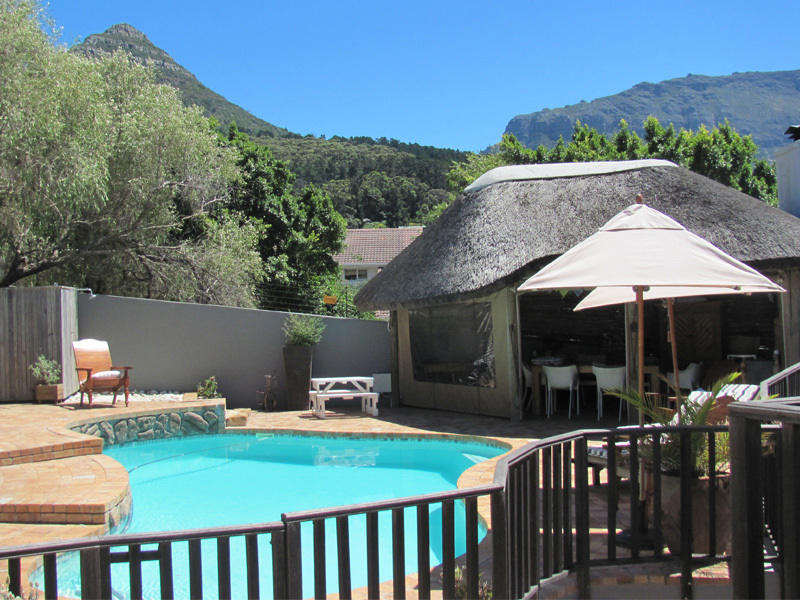 They have a beautiful pool, but the ocean, Hout Bay and Noordehoek beach are not too far away. I really enjoyed the evening walks I took on Noorderhoek beach, as the waves crashed along the white sand and the horses cantered past in the distance. I went for a walk every evening. The staff did warn me that I should be careful not to take expensive belongings with me on my walks as there have been some incidents with criminals on the beach neat the middle of the 7 kilometer stretch of sand. The evenings at the Chapmans’s peak BnB were my favorite and I loved watching the evening light as the sun set over the ocean and the light slowly faded from the world. The Chapman’s Peak BnB is just below Chapman’s Peak drive and I went on a few walks and one drive along it. It is spectacular, truly one of the most beautiful stretches of road I have ever seen in the world. Apparently lots of cyclists and runners from in and around Cape Town train along her in the mornings and on the weekend. I can see why so many people love to spend their time in Cape Town. Another fun activity is visiting the famous Hout Bay market. They have lots of curios as delicious treat, food, drinks and pudding to try. Make sure you stop by there during your stay. Wandering around the Hout Bay harbor and feeding the seals and sea gulls is another highly recommended activity. Check out this amazing footage of Chapman’s Peak. Right next to the hotel. If you ever had to choose one town where you could experience the sheer beauty and adventure of South Africa, Nelspruit should be first on your list. It offers plenty of wildlife, adventure activities, cultural experiences, unique landscapes, and much more. 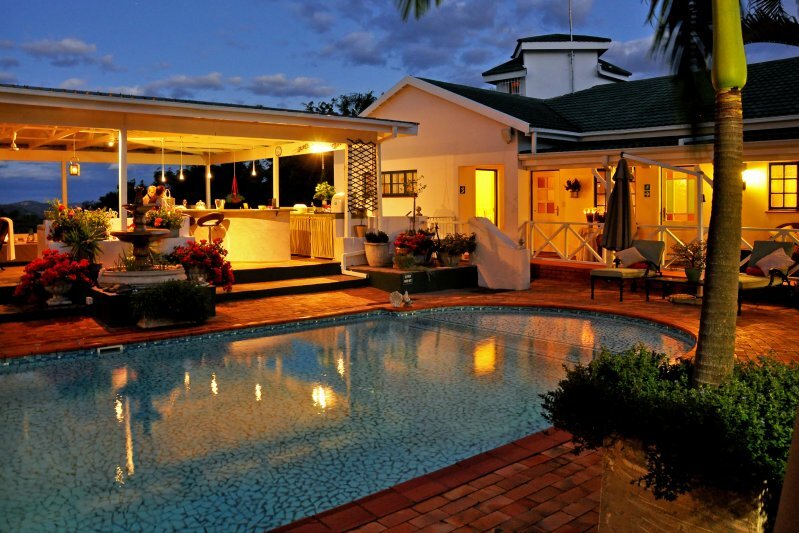 There are lots of options for places to stay when searching for Nelspruit Guesthouses but the Shandon Lodge is one of the best ones. 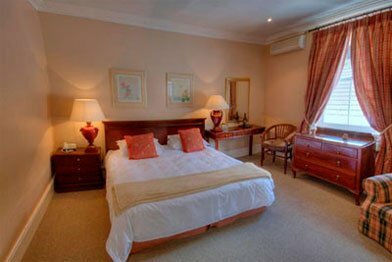 There are a number of room choices from standard singles to double executive suites, and the prices range from R 810 to R1250. 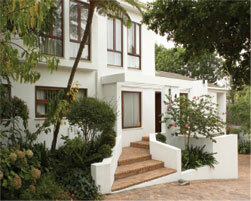 Many business men traveling to Nelspruit for work decide to stay in this comfortable guesthouse. If you are not traveling for work it is a great place for overnighting on your way to the Kruger Park or Mozambique, or if you are wanting to stay longer and have a holiday in Nelspruit itself and all the exciting activities it has to offer. If you like birds and antelope you can walk around the Nelspruit Nature Reserve, it is only a few kilometers from the Shandon Lodge. You can also visit Sudwala Dinosaur Park that is next door to the Sudwala Caves. These are only a short drive away from the guesthouse. You can view the beautiful flowers of the Botanical Gardens and enjoy all the small insect life attracted to them. There are lots of adventure activities, including mountain biking, canopy tours, canoeing and horse rides in and around the town. There are also lots of 4X4 tracks where you can test your metal against the elements. Jane and Tony are the owners of the Shandon Lodge and they are extremely welcoming and helpful in making sure your stay at the Shandon Lodge is as wonderful as possible. 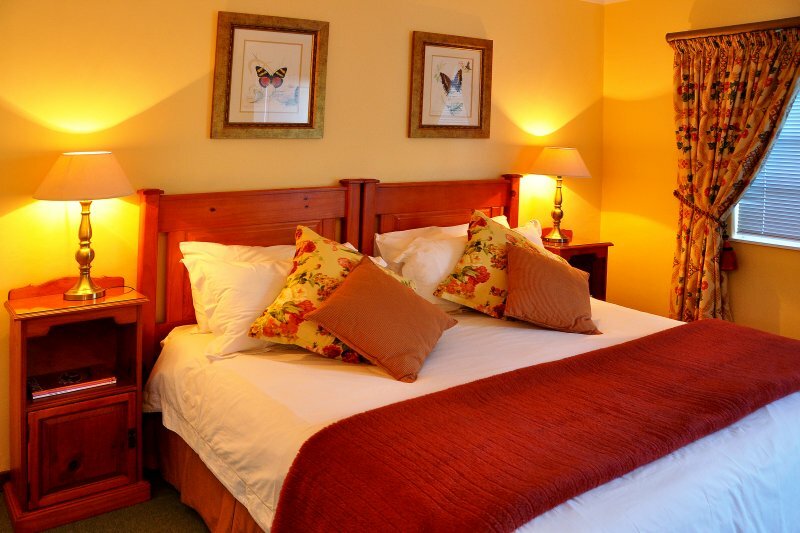 Together with the staff at Shandon Lodge, they aspire to make sure you are as comfortable as can be. The pool and deck area is amazing, and has wonderful views. It is a fantastic place to eat breakfast, relax with a book or conduct informal business meetings. Wifi is available so you can always stay in contact with work or the latest news. The Kruger Park is close enough for day trips into the reserve. In the Kruger you can view the Big 5, which include Lion, Leopard, Rhino, Elephants and Buffalo as well as lots of other animals like, Cheetahs, Giraffee, Zebra, Impala and many many more. The bird life is abundant so definitely take your binoculars and bird bird with you. Even spending some time in the camps can bring the African wildlife right up close as some of the less dangerous animals have become slightly tame around the camp guests. However, watch out for the starlings and monkeys who will try to steel your picnic lunch as soon as your back is turned. Once home the Shandon Lodge is a great place to relax and rest in peace after a day of adventure and sunshine in Africa. Find out more about B&Bs around the world. Copyright © 2019 B&B Cape Town.